Life is about making decisions. Some of them are simple. And some can abruptly ruin everything forever, both for you and your entourage. We can’t help you with most of them, but here’s one problem we might be able to shed some light on: is a tablet or a laptop better for you? When it comes to the pros and cons of a tablet vs. a laptop, it really depends on how you’re going to use your device. 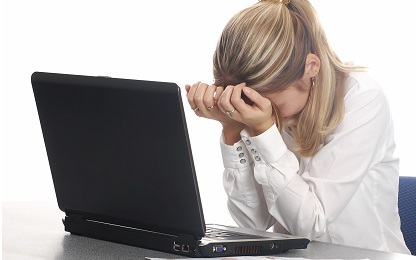 Before you make the commitment to buy, ask yourself: Will I mostly be writing emails? Watching YouTube and Netflix? Organizing photos? Playing games? 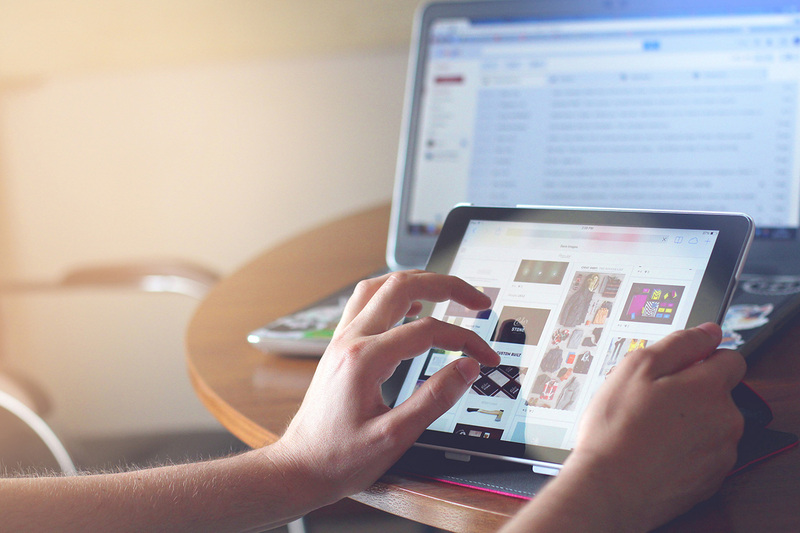 Tablets are becoming increasingly popular but some misconceptions remain over the spectrum of their abilities. Here are a few points where tablets actually meet the solution you might need! Unless you’re buying a gaming powerhouse with a dedicated GPU that’s twice as expensive as its desktop equivalent, you’ll probably end up with a dull laptop with a performance that will only shine in the remorse department. For the same price as your tablet, you can find a laptop that has better perfs on paper. Which looks super cool, but doesn’t matter at all when nothing has been specifically optimized for it. Even on a $1,000 laptop, some exclusive “computer” apps like the Adobe Suite, 3D software or pretty much any modern video game will run as well as a crippled snail. On the other hand, you know that a brand new iPad or a premium Android tablet will run everything you can find on their respective app store flawlessly. 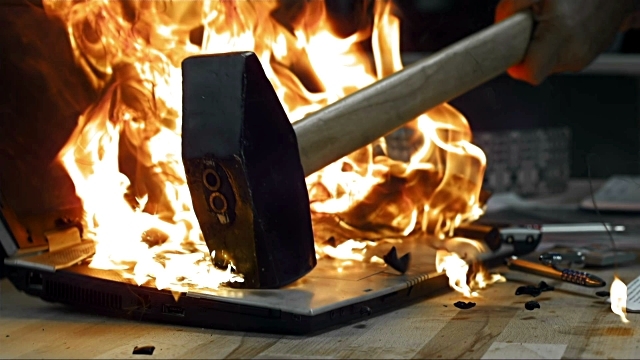 When you’re so angry at your overheating laptop that you end up extinguishing the fire with a hammer. We suggest you make sure your needs go beyond what any of those apps can offer before you buy an overpriced, underperforming clunker of a laptop. Do you know about the Cloud? 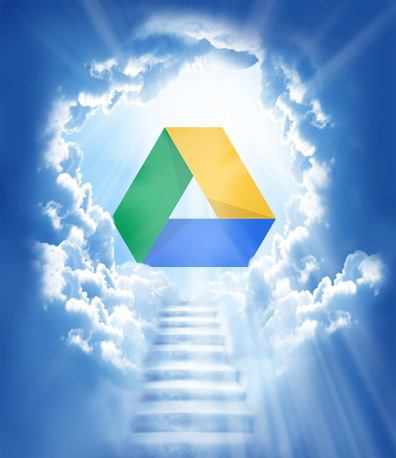 It’s called the Cloud because it’s like the heaven to which your files aspire to ascend. Thank God for remote servers. Nowadays, you will want to use the Cloud for the sake of safety and accessibility no matter which device you use. It makes local storage space irrelevant because your main hard drive is now the Internet. You can log in to your personal Internet locker anytime and anywhere, and Cloud providers are many. Google Drive even has a web interface that looks and feels like any other OS file explorer. It even has its own office suite where you can create and share anything you want. We are seeing a definite shift towards all things Cloud, anyway. Have you checked out a Chromebook lately? Chromebooks are essentially mobile computers that only run the desktop version of the Chrome browser. The philosophy is that you should do what you want to do on a computer with what’s available on the Internet. And this is perfectly possible when it comes to your common office and development tools. If you’re writing a lot of emails, spreadsheets, trolling posts, sad poetry, etc., it’s understandable that you don’t want to spend your life poking at a touchscreen and struggling with ducking autocorrect. But you can still use a keyboard for your tablet! The only difference is that your keyboard will be connected to your device via the magical, invisible cable of convenience that is Bluetooth technology. Some tablets even come with their own detachable keyboard from the get-go. Designers know that flexibility is key: maybe you want the keyboard, maybe you don’t. The point is that tablets let you choose. What kind of choice does a Chiclet keyboard, welded to the vital organs of your device, have to offer? That’s right. But we have the solution! Tablets are great devices, but they can also be ergonomically challenging. 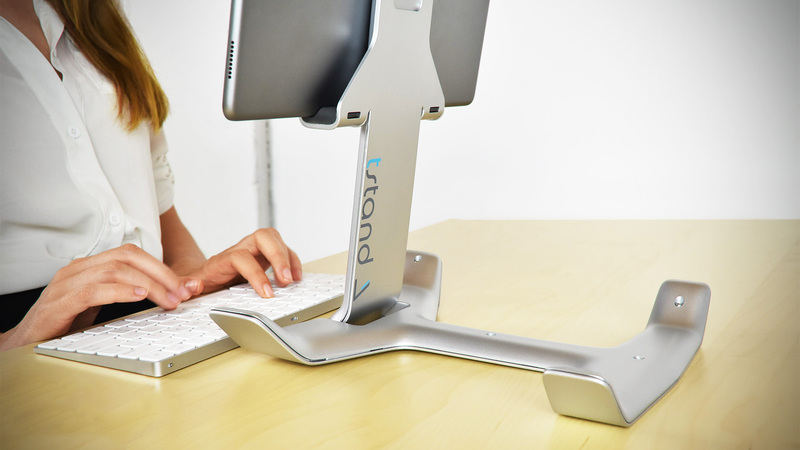 If you’re into the latest tech and gadgets, then we welcome you to accept into your home the pinnacle of human achievement: Tstand. Transform any tablet into a self-supported work station with an eye-level touchscreen, and a wireless keyboard/mouse. Tired of working? Ditch the keyboard, reverse the base, throw on some headphones and lie down in bed. 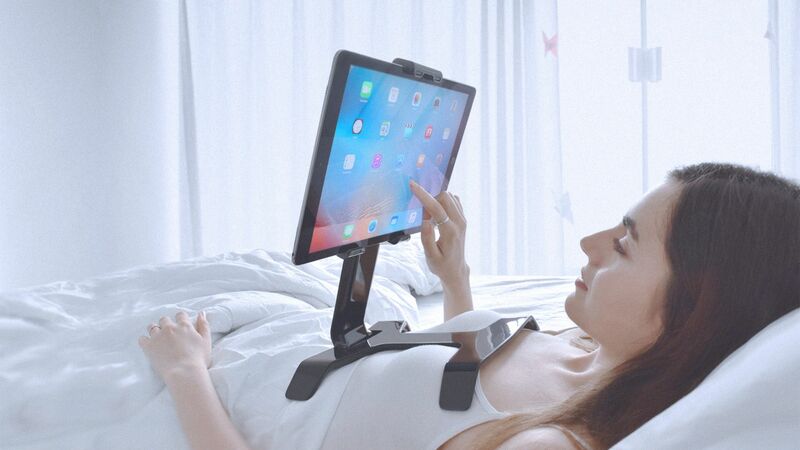 Tstand hugs your chest and holds your tablet so that you can watch YouTube content or Netflix while lying down, hands-free. Can a laptop do that? Wouldn’t that be called a chesttop? Tablets, in short, are the future. The only thing they don’t have going for them is that they don’t stand up very well on their own. That’s why we created Tstand. The perfect support for your tablet so that your tablet works for you.